If you want to start the restored VMs, select the Power on VM after restoring check box. Check the settings for VMs restore and click Finish. Veeam Backup & Replication will recover the VMs in the specified destination. 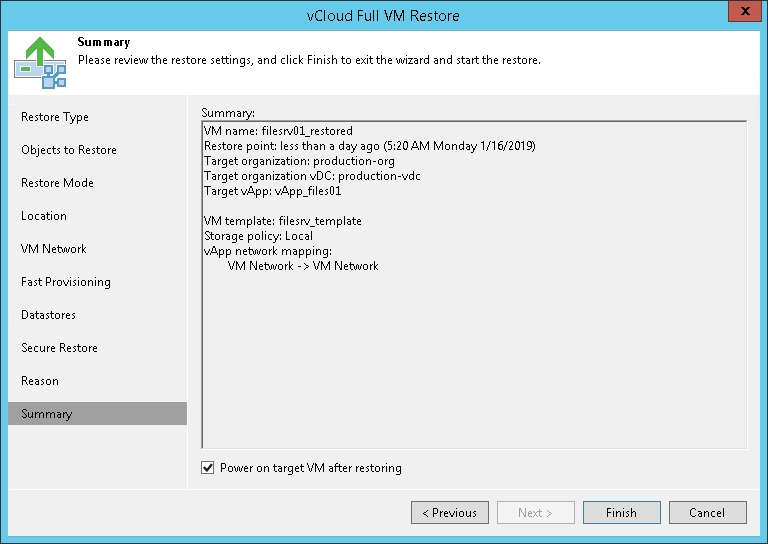 Veeam Backup & Replication checks the lease term for the restored VMs. In case the lease period has expired, the lease will be automatically updated.